Package series: a, ap, d, l, k, n (and a few from “x”). Why use Slackware and not a hard float port? A hardware floating-point unit you say, well I’d never heard of it. In short, Slackware is not optimized for modern ARM implementations and it would be reasonable to assume that performance could be improved on a hard float port. It was not great truth to be told, page load times using the twenyfifteen theme clocked in at around 2.5 seconds on average (using 17 queries). I’ve always believed WordPress to be a “lightweight” application, but I guess that’s up for debate. Anyhow, I decided to try my hand at overclocking the RPi2 to see if I could improve performance to something more sustainable for production. I tried to push the arm_freq higher, but that caused the RPi2 to cough and crash under high load. Pushing the RPi2 to its limit sliced off another second of page load time, which was good, but obviously not comparable to commercial hosting. It was pretty much as expected, but it still felt like somewhat of a disappointment. However, since I rely heavily on caching with any WordPress installation, this RPi2 was not out of the game yet. 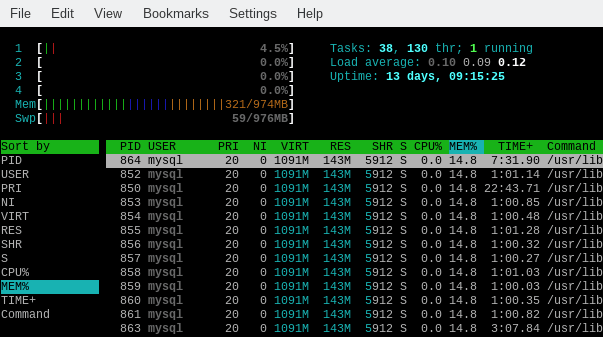 By installing the “WP Super Cache” plugin from Automattic, and optimizing Apache for serving cached and compressed content, the RPi2 turned into a regular powerhouse. Analyzing the performance over at GTmetrix.com gave me a page speed score of 96% and a YSlow grade of 92%. That’s a decent result on any platform and I’m rather impressed with the performance of the Raspberry Pi 2 in that regard. The fact that the RPi2 is sitting on my desk while being assigned a dynamic IP, instead of cooling off at a high tech data center with next to unlimited bandwidth makes it even more enjoyable. I have one sour note though, compiling software is painfully slow, but that should not come as a huge surprise. This site will keep rolling on Raspberry Pi 2 and Slackware ARM until something breaks beyond repair. As Slackware current is ripe for an avalanche of updates that might be sooner than later. If that should be the case, then I’ll update the changelog with the latest turn of events.